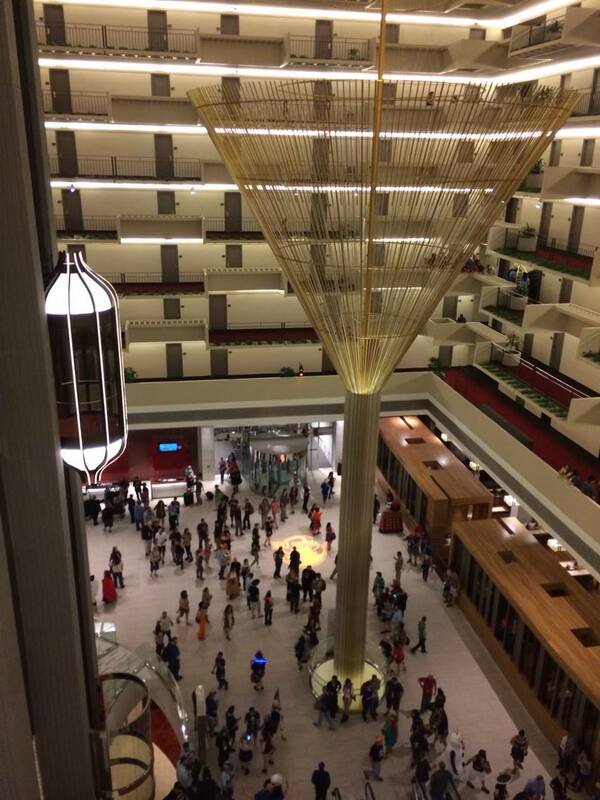 ATLANTA – October 3, 2014 – More than 62,000 fans, coming from every state in the nation and a few foreign countries, participated in the 28th annual Dragon Con, Atlanta’s internationally known pop culture, fantasy, sci-fi and gaming convention, setting a new attendance record. The convention raised over $115,000 for the Atlanta Community Food Bank, collected 535 pounds of food which will provide 445 meals for the food bank, and set a new record in its blood drive efforts. Patrick Yapjoco was crowned the winner of the 2nd annual TCGplayer.com Realms Open Championship, taking home the top prize of $4,000. In all, a field including some of the nation’ top Heroclix minatures players competed for a total purse of $15,000. HeroClix is a competitive, table top game using miniature super heroes and villains from throughout pop culture. For 2015, Dragon Con will be held over the four-day Labor Day weekend, September 4-7, 2015. The convention footprint will remain relatively the same, operating from its five host hotels – Hyatt Regency, Marriott Marquis, Hilton Atlanta, Sheraton Atlanta and Westin Peachtree – with the vendor area moving to Building 2 of the AmericasMart. The Dragon Con parade, always a highlight of the Labor Day weekend in Atlanta, attracted an estimated 75,000 attendees, who lined the streets to watch 3200 parade participants and celebrities, including actor Ralph Macchio, Dragon Con Guest of Honor and author Harry Turtledove, and the Power Rangers Samurai. Dragon Con’s annual Robert A. Heinlein “Pay It Forward” blood drive attracted a record turnout, with 3,893 attendees registering to donate more than 3,292 units of blood and blood products this. The annual drive – consistently ranked as the largest convention-based blood drive – benefits LifeSouth, which serves more than 40 hospital in the Atlanta area and 110 hospitals in the Southeast. In its fundraising efforts, Dragon Con raised $115,000 for the Atlanta Community Food Bank, the official convention charity for 2014. According to the Food Bank, every $1 raised in donations will provide four meals to food pantry clients across the Atlanta metro area. Dragon Con selects a different Georgia-based non-profit each year, raising money through auctions, fan track activities and other events, including partnerships with the Atlanta Braves and Hard Rock Café, as well as a dollar-for-dollar Dragon Con match of up to $50,000. Since 2005, Dragon Con has raised more than $426,000 for its official charities. In addition, Dragon Con and its members contributed nearly 900 hours of community service in the months leading up Dragon Con. Projects included packing and sorting food items for the Atlanta Community Food Bank, maintaining trails at Sweetwater Creek State Park, and working the Walk to End Lupus Now. In all, about 160 Dragon Con fans and their family members worked on the three projects.